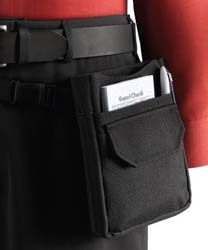 Four-pocket pouch with adjustable, removable belt. Two front pockets. Two side pockets for pencils. 100% nylon. Home launder. Domestic. One size fits all.